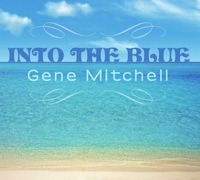 Into the Blue is a collection 11 new original songs by Gene Mitchell. In the three and a half years since his last CD, Gene developed only the best ideas into songs and chose those relating to life on the water and beach. Going back to his roots of a more smooth jazzy soft rock style, combined with the lyrical themes, makes this one of the best Trop-Rock (Tropical Rock) CDs you will own. Order your copy today HERE.